Hello, Fellow book lovers and welcome back to a brand new blog. I am back to share this brand new book with you from Jimmy Patterson Books. 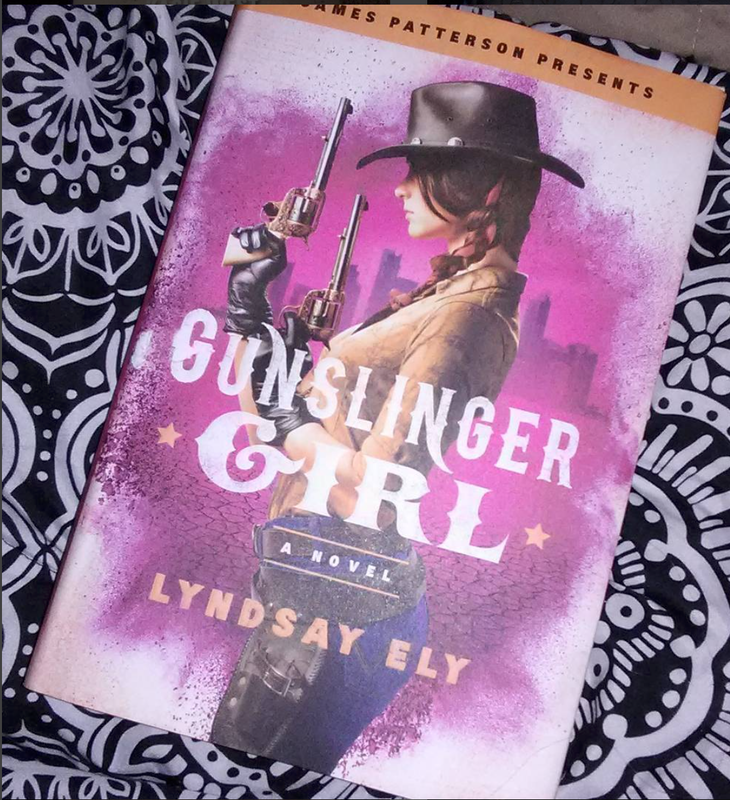 The book is Lyndsay Ely’s Gunslinger Girl and it's her debut novel. This book came out on Jan 2nd, 2018. 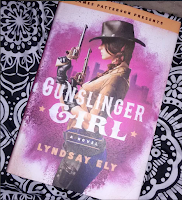 I originally requested an Arc and then in December the lovely people at Hachette books Jimmy Patterson Books sent me the finished copy of Gunslinger Girl. So Huge thank you to those companies for the ARC and finish copy. I actually read the finished copy so this review will be base on the finished copy. I am sorry that this review is up late but hey at least you can buy the book if you like this review. Now on to my summary and final thoughts. Serendipity “pity” Jones is a young girl who lives in a Dystopian age. She lives in the era after a Second civil war has happened because the majority of the World has been destroyed in one way or another. Cities have been wiped out either by chemical or weather, and the remaining civilization has come together in order to survive. So like in any dystopian novel, women have been pushed back to be second class citizens. They are treated as breeders. Serendipity is chosen by her father to be sent to this other city to be a wife and mother to this guy she has never met. This decision is the end for her and she decides to leave with a friend. Her friend and her end up in the middle of nowhere being hijack until these citizens of Cessation save her. She meets Max and a few other people who help Pity moved to Cessation. Pity sees Cessation as her salvation but things will happen and Cessation might become the place to break her instead. Its a ride or die world and Pity's is left to choose which one it will become for her. Now if you wish to know more I honestly feel like you should, check out this book, it's totally worth it. Let's get to my final thoughts on this book. 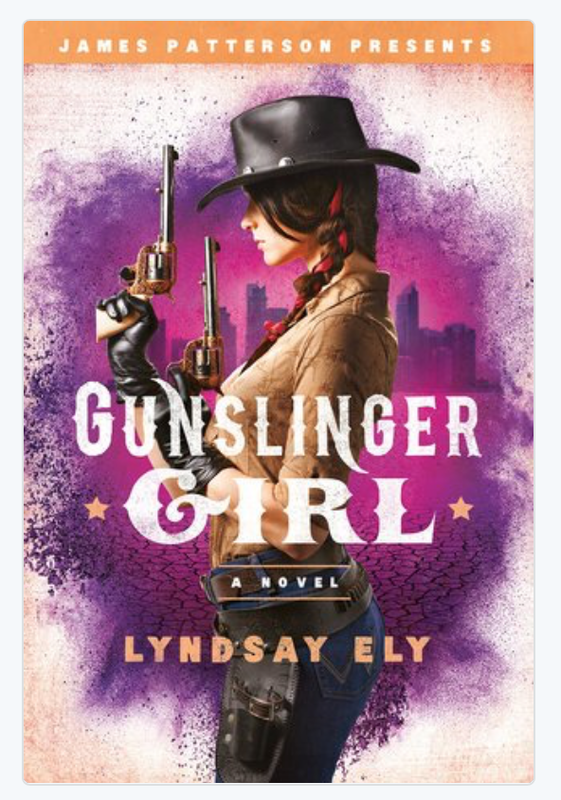 I rated this book a 4 out of 5 stars because I sorely enjoy Lyndsay writing throughout this book. Lyndsay has a way of writing that causes a person to be lost in the book. I love how Serendipity didn’t give up on life, even though she always felt like she was a chicken. I love how unique Max was a painter and Emo kind of kid. I love how much Cessation reminded me of Tombstone and Wyatt Earp. You could really feel the wild west in this book which I love. But I didn’t care for the Dystopian factor. I felt like this book didn’t need a dystopian factor in it. The dystopian world was so much like hunger games to me and I am as a reader over that factor in any books really. It seems like this world is filled to the brim of Dystopian novels. But I will say this I will continue reading this series because I feel like this is going to be a series just by the ending. I will read anything by Lyndsay because she is just that type of writer for me. If you Love Hunger Games and the wild west than this book is for you. I totally think you should check it out if you love badass female type characters too. As always thank you for taking the time to read my reviews. I will have all of the links for the book, author and my social media below. Please come back again soon and check out some more of my reviews.